Arrow Video have released their schedule for June 2018 and we have details on all the DVD, Blu-ray and dual format releases. Below you will find the June 2018 release schedule for U.K., U.S.A. and Canada releases. 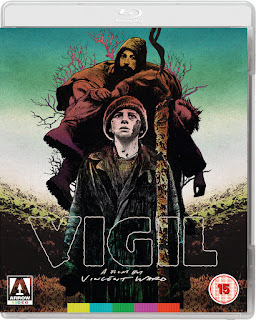 If you missed what Arrow Video released in May 2018 you can find all the details HERE. A ripe slice of ’80s action cheese in the tradition of Raiders of the Lost Ark and Romancing the Stone, Jake Speed has it all: romance, death-defying stunts, spellbinding scenery shot on location in Zimbabwe… and best of all, a wickedly off-the-wall performance by the late John Hurt, proving the old adage that a hero is nothing without a worthy foe. Vincent Ward – once described as “the Antipodean Werner Herzog” – made his feature debut with Vigil, heralding his status as one of New Zealand’s most distinctive filmmaking talents and paving the way for such equally remarkable and unclassifiable efforts as The Navigator: A Medieval Odyssey and Map of the Human Heart. A stranger appears in a remote New Zealand farmland at the exact time a farmer accidentally falls to his death. The mysterious outsider grows close to some of the dead man’s family, to the point where he and the widow become lovers. But her eleven-year-old daughter, Toss, struggling to come to terms with the death of her father as well as her impending womanhood, believes the intruder to be the devil and sets about protecting her family and their homestead. Propelled by Fiona Kay’s outstanding performance by as Toss, she would earn a standing ovation when Vigil screened at the 1984 Cannes Film Festival – the first time ever that a New Zealand feature played in the main competition. Zac Hobson (Bruno Lawrence, As Time Goes By), a scientist working on a pioneering energy project, wakes up one morning to find that the technology has malfunctioned, leaving him as seemingly the only man left on earth. As Zac wanders the deserted city of Hamilton, New Zealand, hoping to find some remnant of life besides himself, his mind begins to disintegrate until fantasy and reality blur together in a heady, terrifying cocktail. 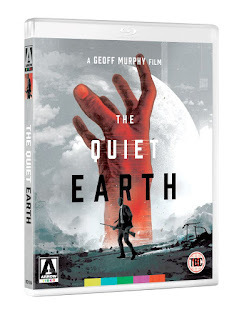 Directed by Geoff Murphy (Under Siege 2, Freejack) and adapted from the 1982 novel of the same name, The Quiet Earth has attained cult status as one of the most distinctive post-apocalyptic sci-fi movies of the 1980s. By turns haunting, surreal and inscrutable, the film asks questions about humankind’s insatiable appetite for destruction that are arguably as prescient today as they were at the time of its release thirty years ago. MARI, SEVENTEEN, IS DYING. EVEN FOR HER THE WORST IS YET TO COME! 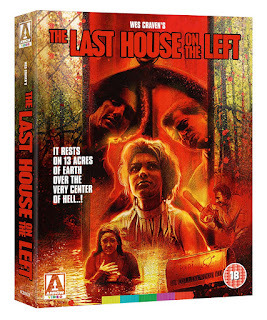 The directorial debut of Wes Craven, the man behind such horror favourites as A Nightmare on Elm Street, The Hills Have Eyes and Scream, The Last House on the Left justly retains its reputation as one of the most harrowing cinematic experiences of all time, nearly half a century on from its original release. On the eve of her 17th birthday, Mari and friend Phyllis set off from her family home to the big city to attend a concert by shock-rockers Bloodlust. Attempting to pick up some marijuana on the way, the pair run afoul of a group of vicious crooks, headed up by the sadistic and depraved Krug (David Hess). Gagged and bound, the young women are bundled into a car trunk and driven to the woods, where the gang subject them to a terrifying ordeal of sexual humiliation, torture and murder. 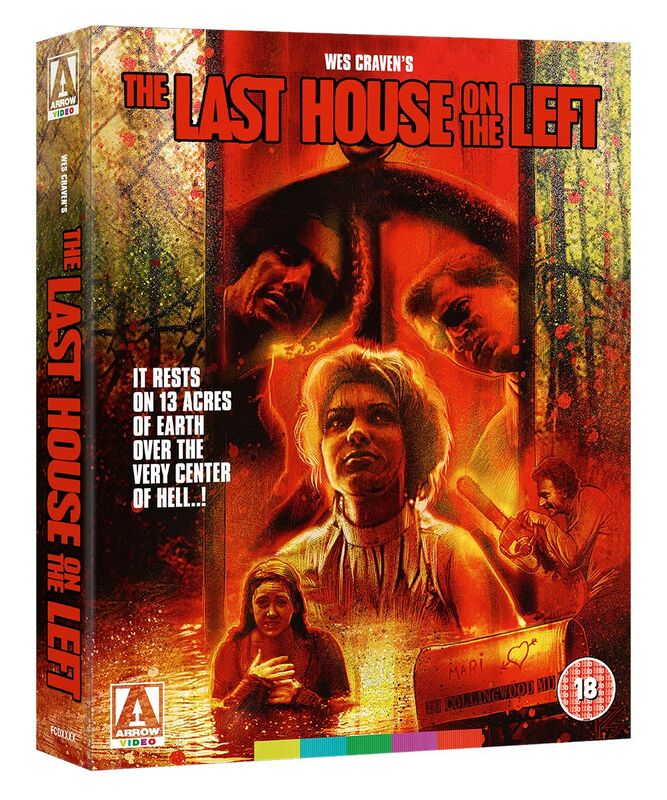 Unleashed on an unsuspecting public in 1972, The Last House on the Left shocked audiences with its graphic and unflinching portrayal of interpersonal violence, paving the way for a whole host of cheap imitators looking to capitalise on its success. It is Wes Craven’s original alone, however, that remains one of the true watershed moments in horror (and indeed, film) history. The Addiction is one of the most powerful vampire movies ever made, with everything from its grainy black and white aesthetic to its raw central performance, combining to position vampirism as a hedonistic addiction above all else. Whether you’re already a convert or completely new to the film, Abel Ferrara’s take on vampire mythology, on a specially restored director-approved 4K Blu-ray, will have you craving more. The mid-nineties were a fertile period for the vampire movie. Big-name stars such as Tom Cruise and Eddie Murphy flocked to the genre, as did high-calibre filmmakers like Francis Ford Coppola, veterans Wes Craven and John Landis, independents Michael Almereyda and Jeffrey Arsenault, and up-and-comers Quentin Tarantino and Guillermo del Toro. Amid the fangs and crucifixes, Abel Ferrara reunited with his King of New York star Christopher Walken for The Addiction, a distinctly personal take on creatures of the night. Having made a big-budget foray into science fiction two years earlier with Body Snatchers, Ferrara’s approach to the vampire movie is in a lower key. Shot on the streets of New York, like so many of his major works – including The Driller Killer, Ms. 45 and Bad Lieutenant - and beautifully filmed in black and white, The Addiction sees the filmmaker on his own terms and at his very best: raw, shocking, intense, intelligent, masterful. The Addiction is a stripped back, raw and intense feature that exudes the sophistication most ‘90s vampire films invariably lacked. It sees Abel Ferrara return from big budget Hollywood (Body Snatchers), coming back to the gritty, intelligent and shocking cinema he’s best known for. Positioning vampirism as something akin to a drug addiction, the film was on the pulse of the mid-90s when heroin chic was on the rise and fears about AIDS were prominent in the media. The always wonderful Lili Taylor delivers a hell of a performance as The Addiction’s victim and anti-hero, struggling to deal with her thirst for human blood before fully embracing it - all with life-altering consequences. 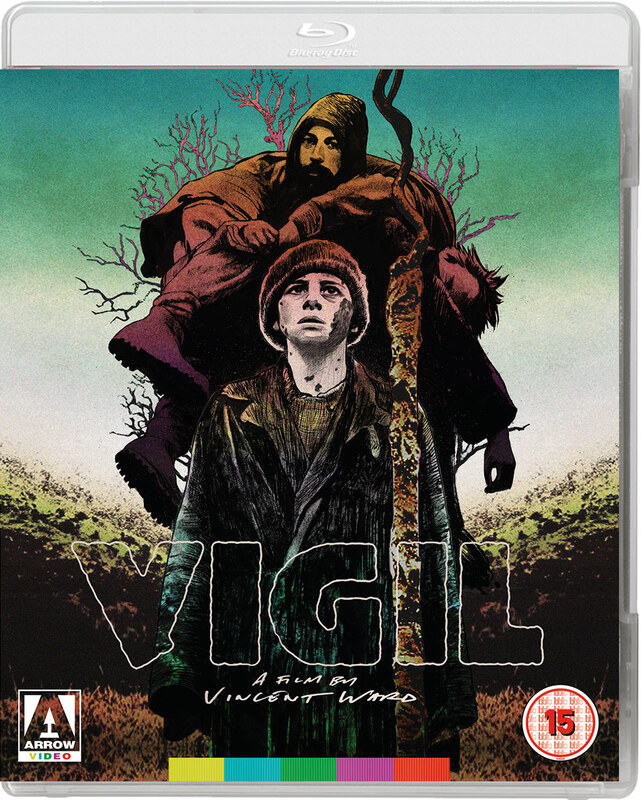 This Arrow Video special edition features a brand new 4K restoration of the film from the original camera negatives, made especially for this release and approved by Abel Ferrara himself and director of photography Ken Kelsch. It also includes a host of extras, not least of which is a brand new documentary on The Addiction, made by Ferrara for this release. Clint Eastwood’s Man with No Name spawned imitations, variations and shameless rip-offs keen to emulate his success at the box office. Within months of A Fistful of Dollars’ release, Giuliano Gemma was playing Ringo, who was then followed by Franco Nero’s Django, Tony Anthony’s The Stranger and Gianni Garko’s Sartana – each providing their own twist on the Eastwood antihero, and each of them then subject to their own spate of unofficial sequels, spoofs and cash-ins. Sartana tapped into more than just his Spaghetti Western predecessors – a mysterious figure, he has a spectral quality, aided by his Count Dracula-alike cloak which also nods towards comic strip figure Mandrake the Magician, with whom he shares he shares a penchant for card tricks. He takes pride in his appearance unlike the Eastwood’s dusty wanderer or Nero’s mud-caked drifter. 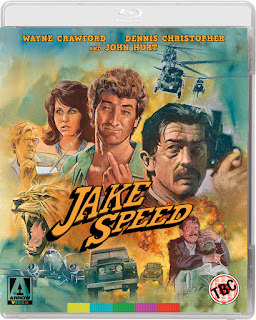 And there’s a dose of James Bond too in his fondness for gadgetry and the droll sense of humour. Unsurprisingly, this unique figure in the genre was treated to four official follow-ups. The Complete Sartana collects all five films, presented here in brand-new restorations: If You Meet Sartana... Pray for Your Death, I Am Sartana, Your Angel of Death, Have a Good Funeral My Friend... Sartana Will Pay, Light the Fuse... Sartana Is Coming, and Sartana's Here... Trade Your Pistol for a Coffin, in which George Hilton replaced Garko in the lead role.